Player has to make a ​score by the grill foods to customers while you have an obstacle between game. 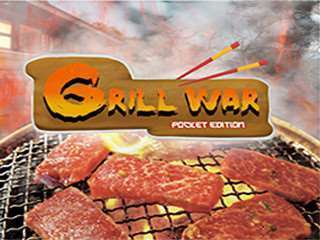 - Grill War - Pocket Edition is a single player casual game. Player has to grill the food on a list and serve it to the customer to get a score within a limited time. While doing player need to face off against various kind of obstacle. - Casual style game. Easy to play but addictive. - Limited time mode. Faces against obstacles and get the highest score in limited time.